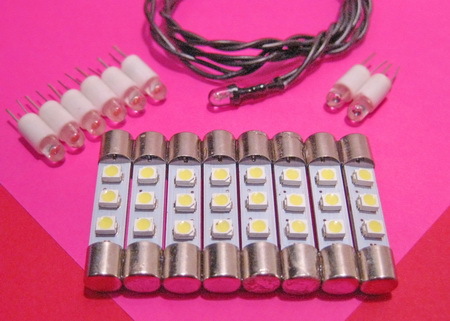 Since you are here, you probably already know what makes LED lamps good. Long life, low temperature. And that carefully selected LED lamps look even better when combined with a new high quality diffuser. 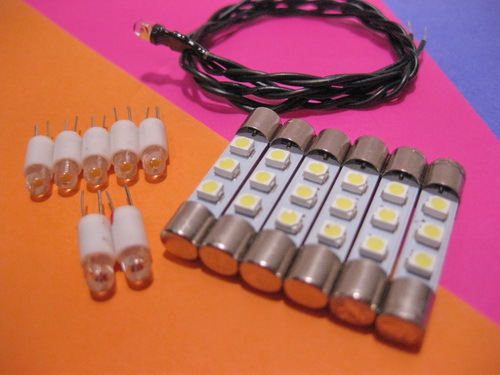 IRM kits include acid free cardstock weight vellum diffusers. 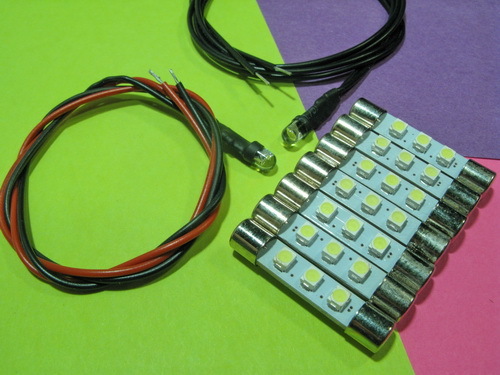 My LED lamps are made to my specifications so that your receiver will display rich colors not only in the blue dial and meters but also in the red Stereo and Dolby lights. 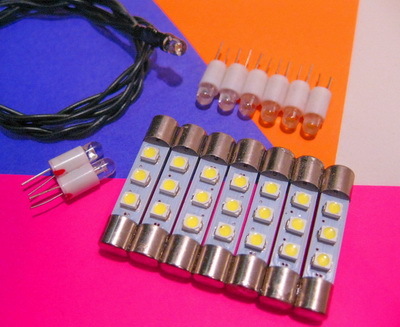 -A new cut-to-fit vellum diffuser is included in every LED Kit. It's made of card stock weight 48# vellum, so the light is softened. And it's acid free, so it will not yellow again anytime soon. -Red LED lamps made just for me are used for Stereo and Dolby lamps. When white or warm colors are used, the Stereo and Dolby lights appear orangish red. My lamps make them glow a deep red. 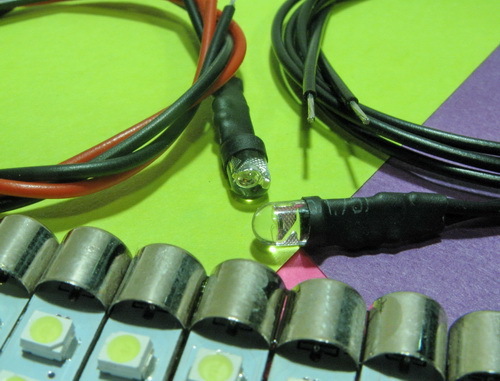 -The tuner pointer LED lamps use all black wire, just like the originals. And they are long enough to attach where the original wire attached. So the result is a clean installation that looks original. No unsightly splices needed. 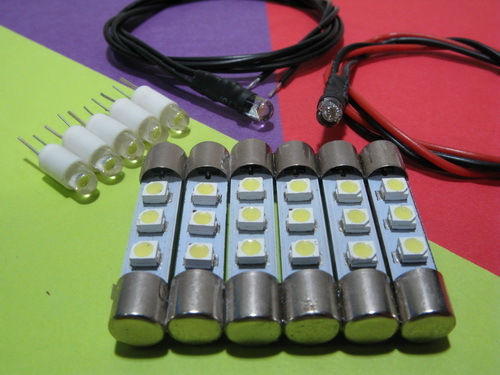 -Cool white LED lamps are used for the dial and meters. The original lamps were not blue, and blue LED lamps give a muddy appearance. The blue comes from the plastic that the light shines through. Put a nice white light behind the dial and the result is a deep rich blue, more blue than the original color. Not convinced? 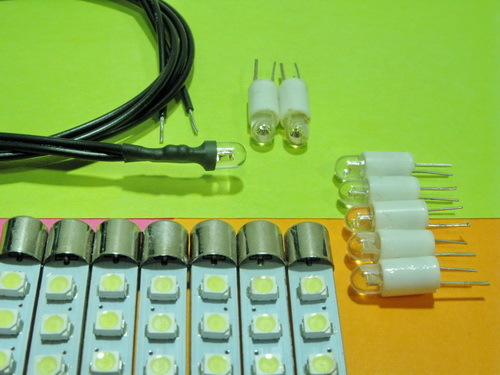 Blue and warm white LED lamps available on request. Do they look like original? Nope. Blue, cool white, and warm LED lamps all look like LED lamps. If you want the original greenish blue dial then incandescent lamps are how to get it. And a new diffuser. When new the dial face was a greenish blue, while the meters were a deep blue. As the original diffuser yellowed, the dial face turned more and more green. To restore the original greenish blue dial then replace the diffuser and use incandescent lamps. The original look is great. But for a rich blue, go with IRM LED lamps. Email any questions to randy@irebuildmarantz.com.